Cheap flashlights should not mean low quality flashlights. With modern technologies flashlights are not only becoming increasingly efficient and reliable, but also much more affordable. Below we will provide you with useful tips when looking for cheap flashlights, in order to get a quality flashlight for under $10; as well as list our top choices for cheap flashlights that are below an affordable $10. 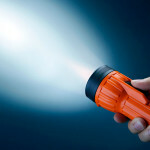 Which Flashlight Is The Top Rated of The Cheap Flashlights? Want to know which flashlight is the top rated flashlight of all the cheap flashlights listed below? Please support us by clicking on one the share buttons below to reveal the top rated flashlight. When buying cheap flashlights, we need to be extra aware of looking for the right characteristics in a flashlight in order to make sure we get the best flashlight for our needs. Below we give some simple tips for choosing quality cheap flashlights. 1. LED bulbs vs Incandescent bulbs LED bulbs are fast becoming the standard light bulb for flashlights. And this is for good reasons. LED light bulbs last a LOT longer than Incandescent light bulbs do. LED light bulbs on average have double the lifespan of Incandescent bulbs. And also use energy much more efficiently by loosing less energy in the form of heat. All this means that LED bulbs will need to be placed less often and will use battery power more efficiently. 2. Look for rechargeable batteries Most cheap flashlights will use alkaline batteries for power, as it is a much cheaper power option. 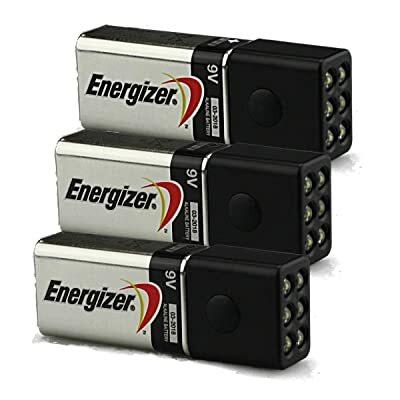 However, if available, rechargeable batteries are a good money saving option as you will not need to replace your batteries on a regular basis. Instead, when your batteries have run flat, you an simply plug the batteries into a charger to recharge back to full power. 3. Look for a warranty Just because it is a cheap flashlight, that does not mean it should not be of quality. Most manufacturers that produce good flashlights will give a warranty along with the flashlight. This is a great little Nichia LED flashlight to keep around the house. The flashlight has a fold-out power socket that can be easily plugged into a wall power socket in order to recharge the rechargeable NiMH battery. The useful feature of this flashlight is that you can leave the flashlight plugged into a wall power socket, and should the power go off unexpectedly the flashlight will switch on automatically to provide you with light. The flashlight can be adjusted to run on high and produce a bright light, with a run time of approximately 2 hours; or it can be adjusted to a lower brightness with a run time of 15 hours. If used on low, the 15 hour run time could last you a few nights of being without power if needed. The manufacturer of this flashlight believes in the quality of their product, as this LED flashlight comes with a lifetime guarantee! 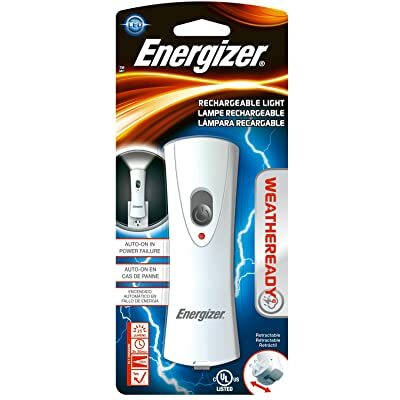 If you are looking for a cheap flashlight to keep around the house or to have as part of a preparedness plan, this is a really good choice for your needs. This is a little flashlight by Lighting EVER, which produces a beam of 140 lumen from its CREE LED and is powered by 3 AAA batteries. The beam can be adjusted by pulling the flashlight head to produce a wide beam or a focused beam. This flashlight is sometimes grouped as a tactical flashlight, however this flashlight does not have the features a typical tactical flashlight would have. It does not have a strobe function and you cannot adjust the brightness of the beam produced. This product does have some useful features though, as you are able to adjust the focus of the beam from a narrow beam to a wide flood beam. It is also shock resistant. If you want a reliable and bright little flashlight that you can carry with you or keep in the car, this is one of the better cheap flashlight options for your needs. 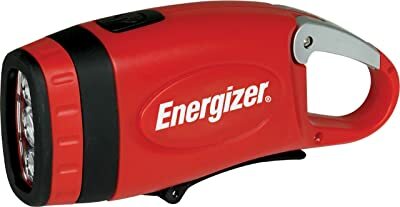 If you are looking for a cheap flashlight to keep in your car, this would be my recommendation. This flashlight uses 3 Nichia LED bulbs to produce a good beam of light, but does not need batteries! The flashlight is power by Kinetic energy from cranking. 1 minute of cranking should produce approximately 3 minutes of light. This makes it ideal to keep it in your car, without having to worry that you ever need to recharge or replace any batteries. It also has a handy carabiner clip so that you can clip the flashlight to something when you need to hang it up, or to your belt clip if you need your hands free. 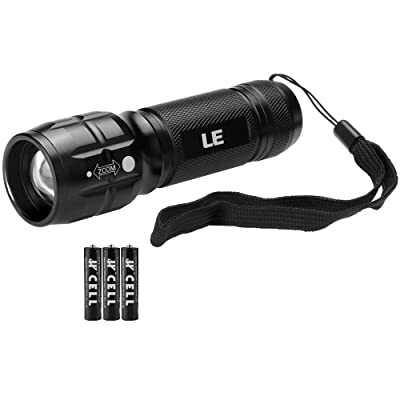 Besides keeping it in your car, this durable flashlight is also ideal for keeping as part of your bug-out bag or for camping trips. 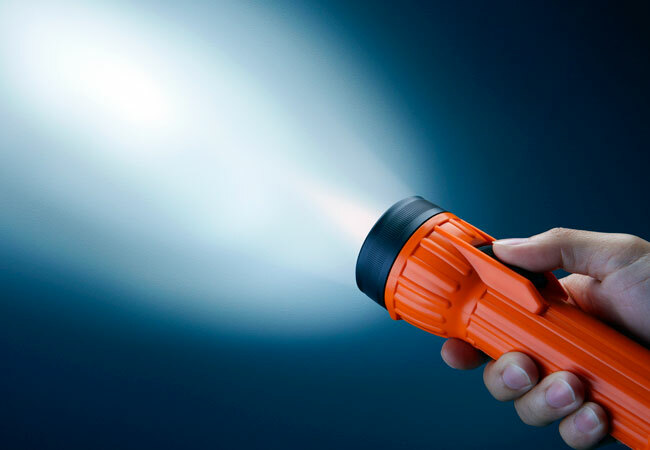 This flashlight by Dorcy is a rugged flashlight designed to be used in tough environments. The 4 LED bulbs produce a good beam of 32 lumen, with a 100 foot beam distance. The flashlight has a few useful features, such as the shock absorbing rubber body that provides a slip free grip. The flashlight is noted to be water-proof and floats! It also has a carabiner on the back to allow for easy attaching to belts or ropes,so this is the ideal flashlight for fishing, camping or as part of a tool box. The flashlight is powered by 3 AA batteries and should have a run time of 20 hours. 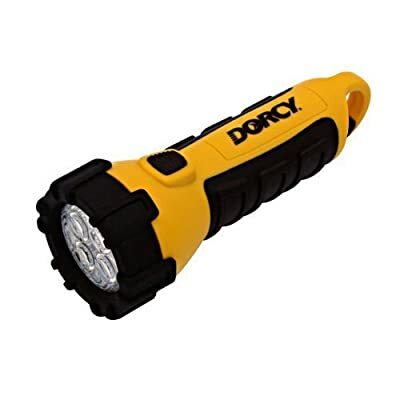 This flashlight from dorcy comes with a 1-year limited warranty to protect against defects in material or workmanship. This is a tiny little LED flashlight that you simply connect to a standard 9 Volt battery. With dimensions of 70mm x 17mm x 15mm, this little flashlight is one of the smaller options on our list of cheap flashlights and is ideal to keep in a purse or in your pocket. This is a very simple little flashlight without too many fancy features. It does have a switch that allows you to switch between High/Low/Off mode. Cheap flashlights should not be low quality flashlights. You can get a good flashlight that will be reliable, if you look for the right characteristics. The cheap flashlights listed above have been reviewed and rated by a lot of users that will agree that even though the flashlights are not very expensive, they are good flashlights that will fulfill your needs. What do you think? Do you think there are better cheap flashlights options available? Please share your thoughts with us in the comments section by telling us if you believe there are better flashlights for under $10. If you found this article about cheap flashlights useful, please share it with your friends on your favorite social network. *Note, these prices are subject to change. The prices specified were as of at the time of this article and were specified by the retailer on Amazon.com.